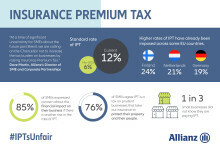 Ahead of the Budget on 29th October, independent research commissioned by Allianz has revealed anxiety amongst SME business leaders that the Chancellor will increase Insurance Premium Tax (IPT) from its current standard rate of 12%. 85% of the SMEs that took part in the research said they were concerned about the financial impact on their businesses if there is another rise in the rate of IPT. 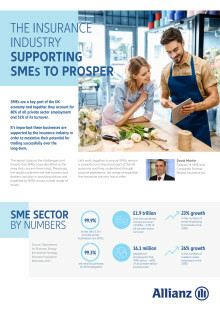 Allianz's report ̒Supporting SMEs to Prosper̓ reveals the findings of an independent survey of 500 SME business leaders about the top threats and challenges facing their business. Jeremy Trott “We acted quickly following the December 2015 floods & within 2 hours of claims coming in 95% of our customers had an appointment confirmed. We made more than 1000 visits to customers & have now settled or partially settled 96% of home & business claims. So far, we've paid £48m to those customers. In total, we provided 236 alternative homes for people to live in following the floods." 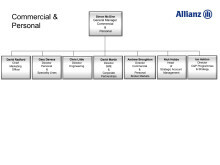 Following the announcement that Allianz will operate a single trading operation combining Commercial and Personal lines, the company has released the new division’s senior management structure responsible for leading the business strategy in its chosen markets. 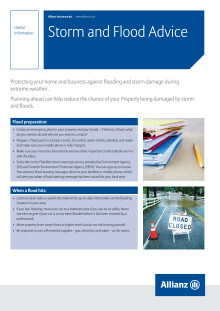 How to protect your home and business against flooding and storm damage during extreme weather. 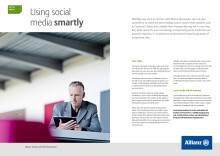 How to understand the legal implications and use social media safely. 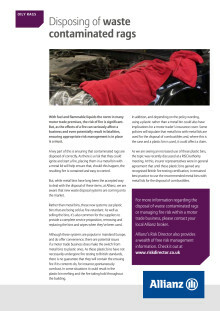 In motor trade premises, it is essential to dispose of contaminated oily waste safely. 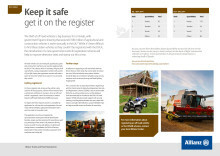 The theft of off-road vehicles is big business for criminals. 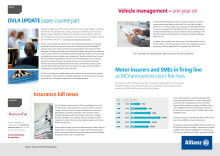 We share the latest motor news, from DVLA updates to vehicle management. It's important to consider the health and safety of anyone who works alone or with limited supervision. 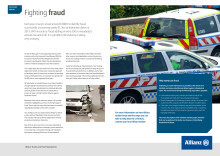 Each year, insurers invest around £200m to identify fraud, successfully uncovering nearly £1.3bn of dishonest claims in 2013. When an accident happens, a cheque from an insurance company can help compensate the injured parties. But, while financial support is important, adding rehabilitation to the claims process can add significant value. 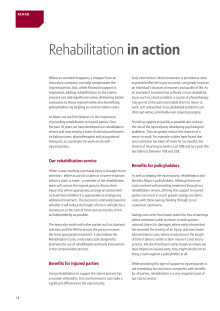 Allianz shares the benefits of rehabilitation services. 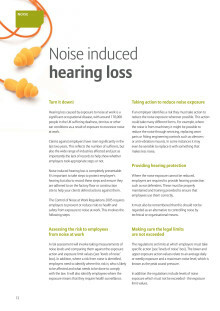 Hearing loss caused by exposure to noise at work is a significant occupational disease. Claims against employers have risen significantly in the last two years. 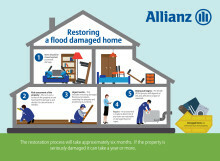 Allianz looks at what you can you do to reduce risk. 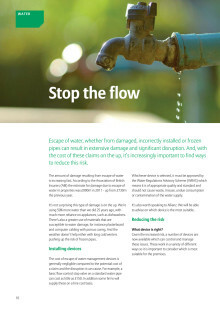 Escape of water, whether from damaged, incorrectly installed or frozen pipes can result in extensive damage and significant disruption. And, with the cost of these claims on the up, it’s increasingly important to find ways to reduce this risk. 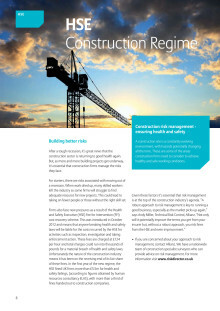 A construction site is a constantly evolving environment, with hazards potentially changing all the time. 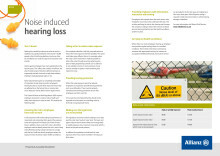 Allianz gives an insight into the areas construction firms need to consider to achieve healthy and safe working conditions. Insurance fraud affects everyone. 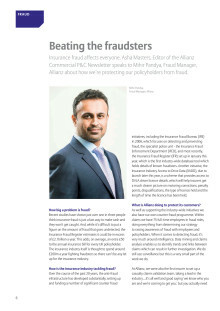 Allianz talks about how we're protecting our policyholders against fraud. 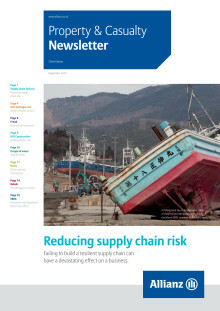 This latest Property & Casualty Newsletter looks at how to reduce supply chain risk as failing to build a resilient supply chain can have a devastating effect on a business. Do you have friends or family who have just finished their A-levels and want to work for one of the largest general insurers in the UK? 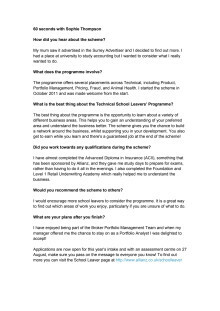 Sophie Thompson is about to graduate from the Retail Technical School Leavers’ Programme. We sat down with her and asked her all about it.